Then enjoy the rodizio-style dining that has made us famous. An endless parade of gauchos visit your table with skewers of freshly grilled meats carved directly onto your plate. 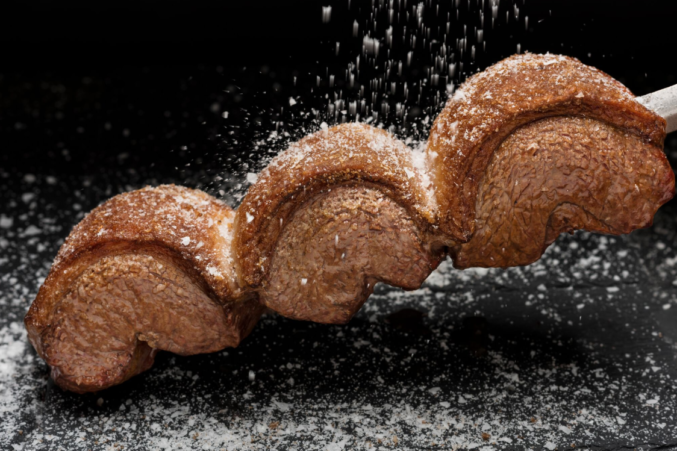 Choose from perfectly seasoned beef, lamb, pork, chicken and Brazilian sausage, cooked over a wood charcoal fire the way cowboys of Southern Brazil have prepared it for generations. It’s all served with authentic side dishes of garlic mashed potatoes, Brazilian cheese bread and sweet fried bananas. To complement your meal, select from our award-winning collection of wines or traditional Brazilian bar creations. And don’t forget to treat yourself to one of our decadent a la cart desserts. Welcome to the height of festive fine dining. Welcome to Texas de Brazil.